Delivering a successful corporate event is about more than just mouthwatering food and drink. From initial planning through to all aspects of catering delivery, we work hard to ensure that your corporate event is a complete success. Our team of experienced planners, expert chefs, passionate bartenders and friendly waiters will meet your every need in a professional and cheerful manner. 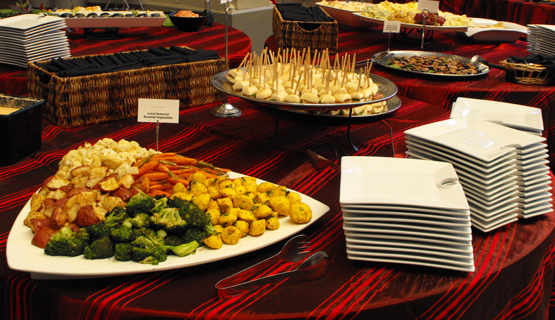 To find out more about our corporate event catering services in Phoenix, get in touch with us today. Whether you are inviting 20 or 500 guests, we have the capability to deliver on and exceed all of your expectations. Whether you are hosting an anniversary party, birthday party or even just a simple get-together with friends, we can deliver exceptional party catering that will make your party an event you'll remember forever. Whether you are inviting 10 close friends or 500 guests, we can meet your every need and provide exceptional food and drink, along with the very best service. From initial planning through to delivery, we work hard to ensure that your party is a complete success and totally hassle-free. We can take care of all your catering needs, with freshly prepared, mouthwatering food and delicious tipples that are sure to impress. Unlike many catering companies, we don't expect you to simply choose from set menus. We will work with you to create your own menu and put together a delicious feast that is just right for your special day. From sit-down five-course dinners to delicious buffet food for an evening reception, we can do it all.